I knew before arriving that hordes of Estonians come here for work, because the wages are a few times higher and the social system and employers' and Governments' approach to people have claimed to be considerably better. But it is not only Estonians who Finland as a nice place to move. 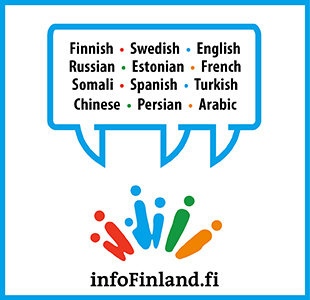 Delving into statistics showed me that in the end of 2013, around 290,000 people – about 5 per cent of whole population in Finland – spoke some foreign language as their native language. The largest groups speak Russian, Estonian, Somali, English and Arabic as their mother tongue. Then the question of what is Finland's and Finns' attitude to this extensive influx of foreigners started to interest me immediately. Although the political stand seems to be tolerant and the people have been more than helpful and nice to me, there are also frightening stories, like a recent case of beating and threatening of a Somali-born taxi driver in North Karelia. I certainly hope that something is done with these issues and Finland will remain hospitable, as it is in the benefit of foreigners and also good for the country which would need the growing number of migrants for sustaining the economy. Estonia and Finland aren't so different: I came to believe that Finland is just a more organised and richer Estonia. The Netherlands, my current home country, on the other hand, gives a chance for comparison. In Helsinki, I arrived to the station, the train was late and when it arrived, it was so packed with people that I was one of the last ones to fit in. And people just stood there and were quiet– no complaints or discussions of how this could happen. In Dutch trains people would have started saying things like Wat jammer! ("What a pity!") and fallen into conversations of constant train delays. Still, a few days ago I encountered my first conversation with a stranger in a Finnish metro – a pleasant young man asked me where I had bought my e-reader and how is it to use that. So, exceptions do occur! I really like many aspects about Finland. For example, people's affection to local Finnish products that ranges from everyday groceries to buying Marimekko design. 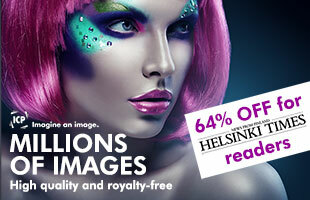 This tendency has been proved – the survey by the Association of Finnish Work from 2014 showed that 75 per cent of people see it as a responsibility to favour Finnish products and services. I see this as a general concept of "Going Finnish" which could include also the recent news that textile companies moving their production back to Finland. I hope that Estonia will one day reach an economic level that would allow people to support similar ideas. After just a short while here, it has become clear to me why so many foreigners see Finland as their home. I wouldn't mind becoming one of them sometime in the future.